When he was born, Luca Railton was diagnosed with Bilateral Tibial Hemimelia, which means he was born with no tibia and no knee in his right leg and his left leg only has a partial Tibia. For the first year of Luca’s life, the doctors all said that amputation was inevitable, but then a German surgeon called Professor Weber was discovered who had been working on Luca’s rare problem, and he agreed to come to England to perform a pioneering 10 hour operation on Luca’s legs. The surgery was hugely successful and for the next few years, Luca was able to walk on his own and as you can see from the photos above, play with the other kids. Since then, Luca has been brave enough to endure over 60 hours of surgery from doctors in the UK who have worked tirelessly to rebuild his legs over and over as he has grown. But now, at the age of 10, the doctors here have told us that they have done everything they can, and it is now time to start looking at amputation. 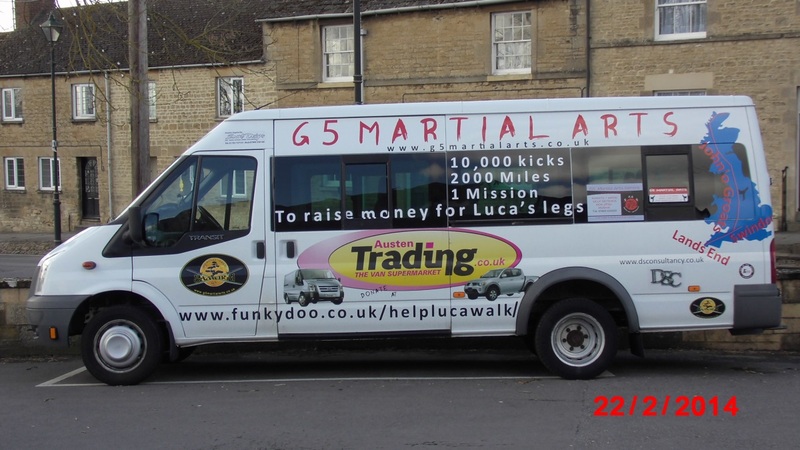 This entry was posted in Charities, Events - What's On, Home, NEWS and tagged Bilateral Tibial Hemimelia, cricklade, G5 Martial Arts, Luca Railton, Swindon, www.helplucawalk.com. Bookmark the permalink.